The responsibilities of a company Executive are massive, as they need to be up to speed with every aspect of their company’s business. 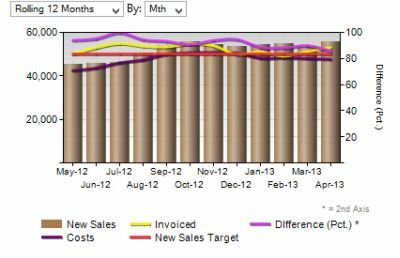 Therefore, executives need a KPI dashboard which lets them keep track of all their responsibilities quickly and easily. But, dashboard designers often make the mistake of treating executive dashboards like any other. This can mean that the wrong conclusions are drawn, and the wrong decisions being made. Whether you’re an executive, or you’re making a dashboard for one, following these five simple tips will make your executive dashboards the perfect tool for high-level decision making. When creating an executive dashboard, the first thing that you should keep in mind is that the information which Executives need is different from lower to middle managers. Executives also need to be able to see data from different parts of the company; executive information needs to be able to be flexible for users (Leidner and Elam, 1995). For example, a sales manager might need to know which of his individual salespeople are doing well, but the executive is more concerned with overall sales performance as an indication of profit. 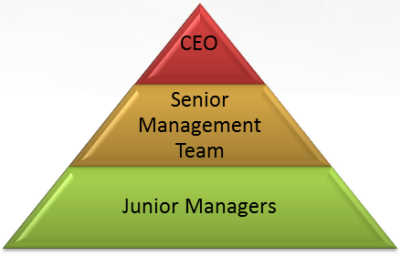 On the other hand, executives also need to manage different business functions, which is out of the scope of individual managers. The second thing about executive data which is important to remember is that time is a huge commodity; because of their high level of responsibility, executives need to make important decisions while juggling multiple projects. To make a great Executive dashboard, you need to take what is great about dashboards in general, and ramp it up to 11: Quick to access, with relevant information that is easy to understand. As executives have greater accountability and responsibility, they have to be able to get all the information they need from a dashboard at a single glance. If you have a lot of information on a dashboard, you will often have to scroll through it using your mouse to scroll through it to find what you need. With Executives who are pressed for time, this often results in some of your information simply being overlooked. For maximum effectiveness, make sure that the user has to do as little as possible to see all the information on screen. If you have too information for one dashboard that executives must be privy to, remember: two dashboards can be better than one! In an online dashboard program such as Target Dashboard, flicking between two dashboards is effortless, so it’s better to split information into multiple executive dashboards rather than cram it all into one! Use Dashboard features to summon additional info when needed! Executive dashboards need to present information on KPIs quickly and simply; it is important that every piece of information that executives need to make decisions is right in front of them. 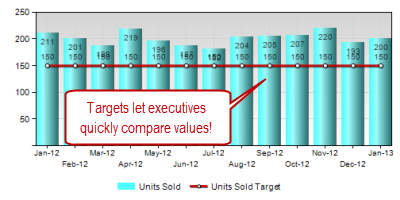 However, this doesn’t mean that an executive dashboard should contain every KPI a company has. It’s often best to layer your KPI information on the dashboard so that the user gets an overall impression of the company, but can analyse in depth information to support their decisions. 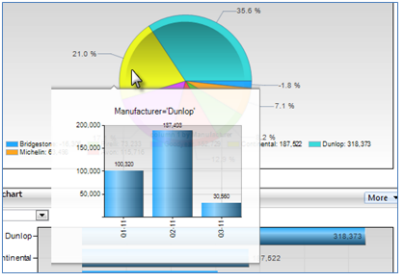 In the picture above, I have used a data drilldown which is generated automatically using an application like Target Dashboard, which appears when you hover your mouse cursor over a segment of a pie chart. Though the info in the pie chart is what is needed for decisions, the additional column chart gives the user more detailed information. This way, important KPI data is never overlooked, but additional information is easily accessed if needed. 4. Don’t overload your Executive dashboard! There’s no need to cram everything in! Though this is a general rule for all dashboard building, it’s more relevant than ever for executive dashboards! I’m not just referring to having too many charts in a dashboard, but also having too much information in a single chart! - Executives have to search through the data to compare important information, resulting in some charts getting overlooked if time is an issue. - Cluttered data makes the charts harder to understand. Though it might seem like there is a lot of information that executives need to do their jobs, with everything needed on a dashboard for effective decision making, its actually important to whittle this glut of data down to make things manageable. How do we do this? By combining low-level metrics into simple-to-understand charts. To give a simple example, let’s put all of our financial information into one chart, including invoices, sales and costs. 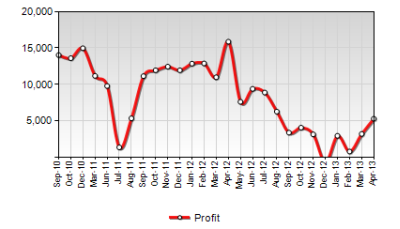 While executive decision makers do need all of the information in the cluttered chart to make an informed decision, it is all taken into account when displaying this single profit graph. Building on Tip 3, displaying powerful information in a simple form let’s decisions be made quickly. Also, the complex information can always be made accessible via drilldowns and other mechanics. 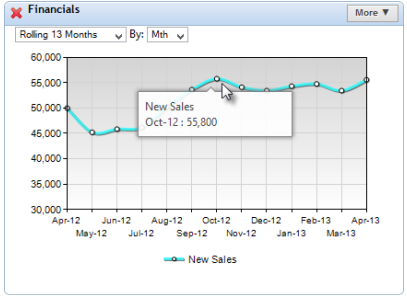 To give a simple example, using target lines in your charts lets users immediately see if a KPI is up to scratch. By constructing and showing target values or trends, business performance can be quickly compared, and actions can be carried out immediately. Also, dashboard charts can be designed to show additional information when charts are interacted with, like the example of bar chart drilldowns when hovering over a pie chart (see above). However, Target Dashboard creates these automatically for you, such as in a scorecard. The colour-coded column chart adds extra information for consideration, and the fact that it is accessed through hovering the cursor means that access is seamless. The decisions which executives have to make are crucial to a company’s success, and have to be made efficiently. 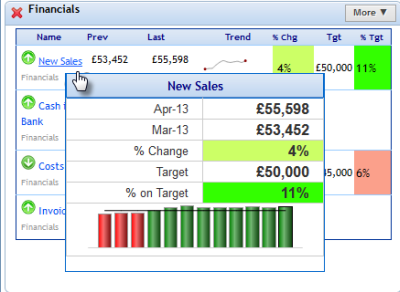 This article has shown you 5 tips for making an executive dashboard that allows quicker, easier decision making on the highest level. Here they are again in a handy list! 5. Make full use of visual aids to easily implement the previous 4 tips. Need more tips on creating the best dashboards for your company, or your clients? Then why not check out our on-site best practice guide for dashboard design? You can even download it as a PDF if you want! Or if you have a spare half hour, attend our expert webinar to learn how to build effective KPI dashboards in minutes?It’s free! All you have to do is click here to sign up now!